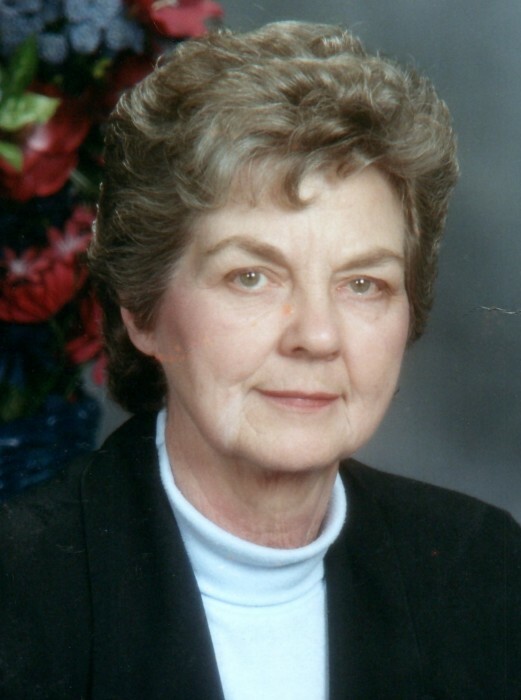 KEENE- Evangelene L. (Croup) Croft, 88, went home to be with her Lord and Savior on Thursday, March 28, 2019 at the Coshocton Regional Medical Center. She was born May 26, 1930 to the late Eugene F. and Mary Hannah (Myers) Croup. She was a 1947 graduate of God's Bible School and College in Cincinnati, where she was Valedictorian of her high school class. She married William G. Croft on May 4, 1951, who preceded her in death on Oct. 9, 1992. She was a member of the Keene United Methodist Church. Evangelene was a homemaker most of her life. She was past-President of the Helmick Covered Bridge Restoration Committee. She enjoyed doing family genealogy, music, and singing. She is survived by a daughter, Mary E. (Rick) Darr of Delaware; four sons, William Neil (Debbie) Croft of Millcreek, Ward D. Croft of Keene, Wesley A. (Lisa) Croft of Millcreek, and Whitney J. (Leslie) Croft of Coshocton; eleven grandchildren; seven great-grandchildren; three nieces, and one nephew. In addition to her parents and husband, she was preceded in death by a son, Wade E. Croft; a sister, Rosalee Parkhill Ward; and a brother, Vaughn Croup.